It happens. Every. Single. Month. My skin is clear and flawless for days but, as soon as my period hits, a party of pimples springs up all over my chin (because cramps and mood swings aren’t torture enough). Every month, I hope it’s the last month. Every month, they come back. Here’s what I do to keep my hormonal acne at bay (and how to treat it if you already have it). Why Do You Get Hormonal Acne During Your Period? Because hormones hate you. They’ll take any chance they get to screw up your life. Ok, maybe not. But that’s how it feels, isn’t it? And those pesky hormones are indeed the culprit. Progesterone and estrogen, to be exact. These two are involved in your menstrual cycle and fluctuate throughout the month. When you’re ovulating, estrogen is at its peak. That’s good. Estrogen = healthy, glowy skin. Estrogen gives your skin a beautiful radiant glow and, with the help of progesterone, keeps testosterone at bay. But, once the ovulation phase is over, the levels of estrogen and progesterone dip way down. Without these soldiers blocking the way, testosterone has a field day. Now high enough to wreak havoc, testosterone tells your skin cells to pump out that sebum like there’s no tomorrow. The extra sebum mixes with dead skin cells, clogging your pores and erupting in all kinds of acne: pimples, blackheads, whiteheads. You name it, it’s there. By the time you period starts, acne has firmly set up camp on your face (it’s particularly fond of your chin). Ugh! Related: Blackheads, Whiteheads And Pimples: What’s The Difference And How Do You Treat Them? How Do You Know If You’re Dealing With Hormonal Acne? Breakouts occur during the same time every month (usually, just right before your period is about to start). Breakouts spring up mainly on your chin and jawline. Acne is the cystic type (hard, painful bumps). If you’re nodding your head vigorously, you’re dealing with hormonal acne, gorgeous. Hormonal acne is why many doctors prescribe young women the pill, even if they aren’t sexually active. Birth control pills reduce the levels of testosterone in your body. Less testosterone = lower risk of breakouts. I’m not on the pill. Personally, I don’t like to mess with hormones. Do it wrong and it can screw you right up. I prefer to find other ways to keep my acne under control. But if you’re on the pill and it’s working for you, that’s totally cool. It’s all about finding what works for you. P.S. I know I don’t need to say this, but if you’re thinking of going on the pill (even if just for your acne), consult your doctor. All that excess sebum your skin produces right before your period gets easily trapped into your pores. Especially, if they’re already full of dead skin cells. The two mix together, clogging up your pores. The result? Breakout galore! I exfoliate my skin three times a week with glycolic acid to slough off dead skin cells from my face. Plus, it hydrates and boosts collagen, keeping my skin firm and soft. But, a week before my period is due, I switch to salicylic acid. Unlike glycolic acid, salicylic acid gets inside the pores, exfoliating them from within. Salicylic acid cleans up the pores, allowing sebum to flow out freely. It keeps breakouts at bay and zaps the blemishes you already have. I use this one every morning until the end of my period. If your skin is more sensitive than mine, try two or three times a week instead. My combo skin gets a little oilier on my t-zone, but it’s nothing a piece of blotting paper can’t fix. Most of the time. A week before my period, my skin is at its oiliest (thanks, testosterone!). That’s when I take out the big guns: clay masks. Clays like kaolin and bentonite soak up excess oil so that it doesn’t get stuck into your pores. Bye bye, pimples! I’m a sugar addict. I wish I could eat pizza and cake all day. Every day. My body has other ideas. Sugar (by the way, carbs turn to sugar in the bloodstream) promotes inflammation. Inflammation is bad on so many levels. It’s what causes deadly diseases like cancer and Alzeheimer’s. It makes you age faster. And it increases your risk of breakouts. Now, don’t get me wrong. There’s no way this Italian is ever gonna give up pizza for good (or cake, for that matter). But, I’ve seriously cut back on grains and sugar. Instead, I’ve upped my fat intake. I’m eating more foods rich in omega-3, such as salmon, avocado and walnuts. I’ve added more probiotics, such as kefir and Greek yogurt. I have my fair share of vegs with every meal. And, then, once in a while, I have a cheat day when I eat pizza at dinner and snack on chocolate. A healthy diet is about moderation, not deprivation. Personally, I’ve found this has the biggest impact on my hormonal acne. It’s easy to eat a balanced diet at home, but when I travel, I cheat a little too often. I don’t feel too guilty about it. In the grand scheme of things, eating more sugar for a week every few months won’t kill me. But, I find it makes pimples more prone to come back during that time of the month. If I want clear skin, a low glycemic diet is the way to go. I’ve talked about salicylic acid before so I won’t repeat myself here. I’ll just say that your pores are all clogged up now. Salicylic acid frees them up from all the gunk inside, making those blemishes go away. It works especially well with blackheads and whiteheads. Those clog up your entire pores. If you only remove the top part, it’ll only be a matter of time before they rear their ugly heads again. If you’re dealing with pimples, there are a few things that can help. They all have one thing in common: they’re super harsh. Use them on pimples only! Benzoyl Peroxide: it kills P.Acnes, the bacteria that causes acne. Best of all, bacteria don’t become resistant to it. Sulfur: a mineral that reduces oiliness and kills P.Acnes. Tea Tree Oil: in 5% concentrations, it works as well as benzoyl peroxide. Can cause allergies. P.S. I’m partial to sulfur. It works faster than anything else I’ve tried so far. Related: Is Sulfur An Effective Treatment For Acne? Change your diet and tweak your skincare routine a week before your period and you’ll never have to deal with hormonal acne again! How do you deal with hormonal acne during that time of the month? Share your experience in the comments below. Are These Cute Cleansing Puffs A Gentle Alternative To A Washcloth? Hi Gio, I’ve found light therapy has does wonders for my hormonal acne. I’ve been using the Neutrogena face mask daily and it clears up the deep pimples I get on my jawline in just a few days instead of weeks. Plus I’ve noticed that I have fewer pimples as well. What are your thoughts on light therapy? Maggie, I’m a fan of light therapy. There’s a lot of scientific evidence that it works for acne and fine lines. Glad it’s working so well for you. Does Neutrogena have a light face mask? How does that work? Love this guide! I definitely had really bad acne. 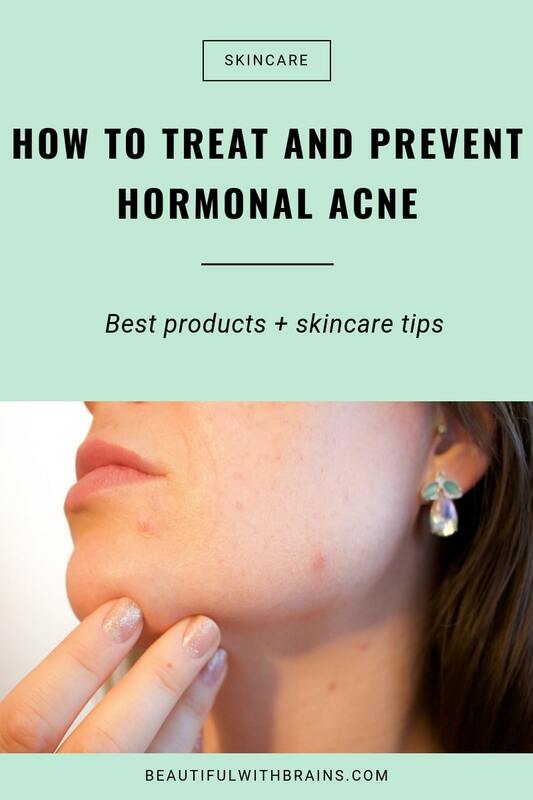 I had some hormonal acne until recently… So many things to consider. I have been on the pill for years. Personally I love it. But the last couple of months I think it´s really The Ordinary Niacinamide 10% + Zinc 1% – 30ml really helped! I use everyday during the day and although my breakouts have gone down throughout the years, this made them go pretty much completely away. I´ve also cut back on sugar 🙁 so sad, I LOVE sugar and carbs!!!! Barbara, so glad you’ve found something that works so well for your hormonal acne. Zinc + niacinamide is such a powerful combo. I hear ya! I wish I could only eat sugar lol. But my skin looks a lot better when I have it in moderation. Plus, I’m not sure if this is happening to you too, but I don’t have brain fog as much anymore. Brain fog – I like that description. If I eat too many carbs, then soon after eating I feel like I have a hangover. JD, me too. Carbs tastes so good but I’ve learned the hard way they’re better in moderation. There’s so many issues and interactions to consider with hormones. Acne is the symptom, but the cause can be rooted in any number of conditions, existing on top of one another, exacerbating or mitigating each other. So much to know and so much to learn. Thank you for your article on the subject and all the best going forward. Bo, that’s true. Acne is a very complex condition. You can treat the symptoms but if you don’t deal with the underlying cause, it will just keep coming back. The only thing which really helped is cleaning up my diet. Ditching all processed foods and starting my day with a fresh veggie juice or a greem smoothie… I rarely get breakouts and if so before my period. I take magnesium glycinate or mineral complex with zinc which helps with cramps, mood and skin. I always add Schizandra/Goji to help the liver and build blood. 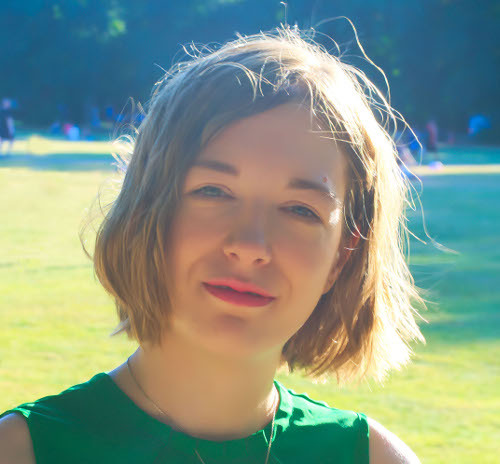 Lara Briden has some good information on her blog for all issues hormone related. But if the occasional break out comes I love Acne Pimple Patches – I leave them on over night and often with a mild breakout it is gone. With a strong inflamation it is not gone but for some reason it heals quicker. I use the ones from COSRX – but I have seen many brands make them now. Still nutrition is the real key and with all types of acne to get inflammation down is best. Lot’s of vitamin C, E and A. As a teenager, I suffered from cystic acne as well as regular plain old acne. I have severely oily skin and was even put on Accutane but nothing worked. I discovered dermalmd acne serum from just searching around on google trying to find something to help me with my oily skin. At 31 years old I have finally found something that works for me. Not only has my skin improved dramatically but my oil production even decreased. I use this is an exfoliate, then as a mask then finally a spot treatment. Not only has my skin improved, but my makeup also looks better and lasts longer since I now have a better canvas underneath. Aliona, glad you’ve found something that works so well for you. Thanks for sharing. Erica, glad you’ve found something that works for you.